Mother’s Day is just around the corner! Kid’s need something to give your mother? 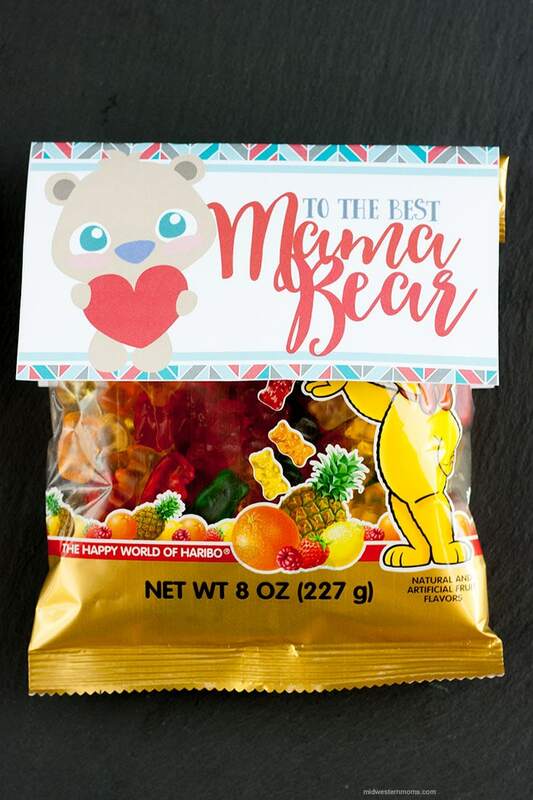 Pair this printable with a bag of gummy bears and a homemade card! Easy gift idea! 1. Print the gift tag on card stock. 2. Fold the tag in half. 3. Using the double-sided tape, place the gummy bear bag between the 2 sides of the tag. 4. Present to Mother on Mother’s Day and watch her smile! To get this cute little printable gift tag, simply put your email address in the newsletter box below and an email will be sent with a link to print.